Market research shows that over 64%* of the 34 million vehicles on the UK roads have ‘ChipsAway’ damage, which means our franchise partners can enjoy massive demand from a rapidly growing and replenishing market. Part of ChipsAway’s popularity is that it is a cheaper alternative for customers than going through their own insurance, and with research showing** that parking prangs are now costing us £1.4 billion per year, at an average bill of £2,050, it’s no wonder more customers are flocking to ChipsAway. In 2018 we continued to break records, achieving our highest amount of customer enquiries ever. This allowed us to provide our network with a supply of £57,000,000 worth of leads over the course of the year, a milestone we are extremely proud of. Parking in a car park has led to two-thirds of motorists suffering damage to their vehicles**, with an unfortunate 31% saying they have had it happen on several occasions. As increasing numbers of motorists learn that the time and money saving advantages of a ChipsAway repair service make it the practical alternative to a body shop, we have no doubt that our customer base will continue to grow. *All figures, unless otherwise stated, are from YouGov Plc. Fieldwork was undertaken in 2017. ChipsAway is owned by international franchisor Franchise Brands plc, who have a combined network of over 450 franchisees in 12 countries across 5 brands. 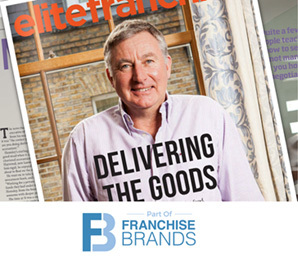 Franchise Brands was founded in September 2008 by Stephen Hemsley (Executive Chairman) and Nigel Wray (Non-Executive Director), who have substantial experience in franchising. Stephen Hemsley currently holds the position of Non-Executive Chairman of Domino’s Pizza. During his 20-year association with Domino’s Pizza, Stephen has taken the company from a market capitalisation of £25 million to around £1.6 billion, and from around 100 stores to over 1,000 across the UK, Ireland and Europe. A key strength of Franchise Brands plc is our highly developed range of central support services, such as marketing and franchise support. Our franchisees benefit from proven national marketing and comprehensive initial training and on-going support and development in order to help them grow their businesses. ChipsAway have been operating for over 20 years, and in that time have climbed to the largest network of SMART repairers in the UK, and been named as the most publicly recognised SMART repair brand by YouGov data, with over 11 times higher recognition amongst car owners than our nearest competitor. ChipsAway is the only franchise of its kind with regular national TV advertising campaigns, keeping us at the forefront of the industry. 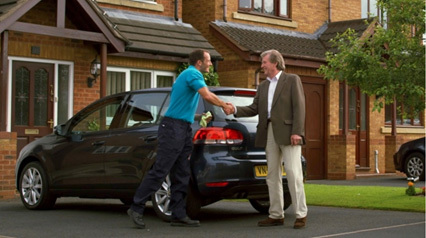 There are many franchise business opportunities out there, but becoming a franchise owner with brand leaders ChipsAway not only means that you are joining the originators of SMART repair technology, but you will also be part of the biggest network of automotive paintwork repairers in the UK.